The fake Chanel watches at the online replica outlet offered a selection of replica watches that were unauthorized by CHANEL. They were priced from $209.00 to $229.00 USD. 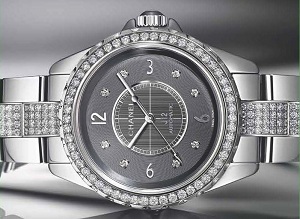 The replica Chanel J12 Diamonds Back Ceramic Ladies Watch 2 sold for $229.00 USD. The replica Chanel J12 Chronograph Unisex Watch 8 sold for $215.00 USD. A replica Chanel J12 Men's Watch HO969 had a list price of $209.00 USD. Replica dealers are in the business of taking in profits by selling fake Chanel watches which are often of extremely low quality. Some online replica sellers intentionally market replica watches as exact copies by promising “Swiss made” or mirror-images of the genuine. A replica watch will more than likely be substandard in quality, often made in China, not Switzerland. A replica watch is likely to bear little or no resemblance to the genuine quality of CHANEL. Many times obvious flaws are visible immediately on a fake watch, such as scratches and bubbles on the face, loose rivets, light in weight, slippery clasps. Upon closer inspection, some replica watches were found to be embedded with unclean organic contaminants such as rodent hair, dirt, grease and dust. A replica watch may also contain invisible to the naken eye unregulated toxic chemicals and metals. A replica watch is not something you would want to have on your wrist. Seeking out and opting for the genuine will provide the quality and true enjoyment you deserve. Knockoff watches are often products of very low standard replication processes, resulting in a low quality end replica product, which are easily distinguishable from the authentic. None of the imitation Chanel watches being sold online will ever exhibit the revolutionary excellence in timepiece conception, design, engineering and artisanship of an authentic CHANEL watch. For more information on the quality of replica Chanel watches, visit ChanelReplica.com and ReplicaChanel.com. Previously Replica031 was an online store selling replica Chanel handbags and watches. To prevent the previous owners of this shopping website from continuing to take further advantage of the public, legal action ensued. As a result of this action, a Federal Court ordered the replica Chanel online shop to be closed permanently and the domain name transferred over to CHANEL's control and ownership. The Court also ordered the previous owners and operators of the Replica031 online outlet to pay CHANEL over $500,000.00 in damages. 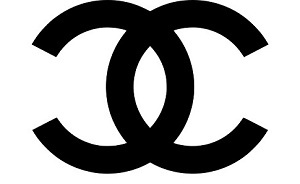 For more on replica Chanel visit ChanelReplica.com and ReplicaChanel.com.